The best thing about earning points and miles is getting to use them, but too often airlines make redeeming for award travel more difficult and costly than it should be. Today TPG Senior Points & Miles Correspondent Jason Steele calls out several routes where low-level awards are scarce, if they’re available at all. Have you ever felt like airline award charts are mostly fiction? Sometimes it seems that no amount of flexibility or ingenuity is enough to find an award flight available at the saver level, especially in business or first class on flights to the most desirable destinations. Delta showed no award availability at lower levels between Los Angeles and Sydney. It’s wonderful that Delta has a daily non-stop flight between Los Angeles and Sydney, Australia which features 37 lie-flat seats in its BusinessElite class on a Boeing 777-LR. In theory, these seats should occasionally be available for 80,000 SkyMiles each way as Level 1 awards (formerly known as Saver level). I searched all of Delta’s daily flights to and from Australia for a single business class award (approximately 24,000 seats total) and found that there were exactly zero seats available in business class for Level 1 awards. Level 2, 100,000 miles each way: Zero seats available. Level 3, 120,000 miles each way: Zero seats available. Level 4, 147,500 miles each way: Six seats available from LAX-SYD—three each on March 8 and March 23, 2015. Level 5, 175,000 miles each way: Availability every day for SYD-LAX, and all but two days for LAX-SYD. 99.7% of the Delta flights between Los Angeles and Sydney only offer seats at Level 5, 0.3% at Level 4, and 0% at levels 1, 2, and 3. 99.99% of the business class seats on Delta flights are offered for awards at Level 5. 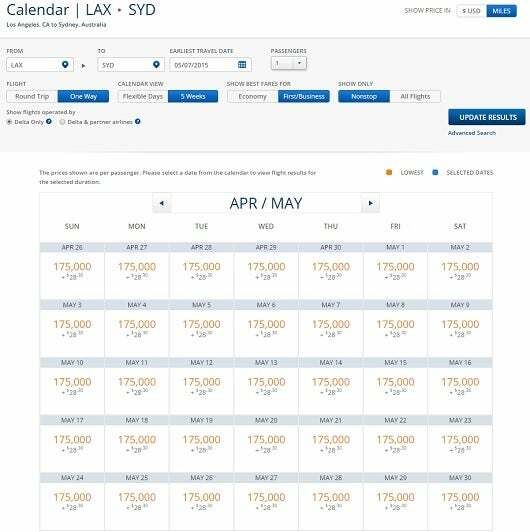 Looking to use your SkyMiles to fly Delta to Sydney in business class? Get used to seeing this result. Thankfully, Delta’s partner airline Virgin Australia appears to have generous business class award availability on its flights to Sydney, which as partner awards are always at the lowest mileage level when available, 80,000 miles each way. Like Delta’s flight to Sydney, I found no Level 1 award availability for its flight from Atlanta to Johannesburg, South Africa. Of the approximately 660 flights available for booking, I found no dates with any business class award availability at Level 1. Level 2, 100,000 miles each way: 35 days total in both directions. Level 3, 120,000 miles each way: 4 days total in both directions. Level 4, 147,500 miles each way: 4 days total in both directions. Level 5, 175,000 miles each way: All other flights. 0.0 % of the days that at least one seat was available at Level 1—80,000 miles each way. 5.3% of the days that at least one seat was available at Level 2—100,000 miles each way. 0.6% of the days that at least one seat was available at Level 3—120,000 miles each way. 0.6% of the days that at least one seat was available at Level 4—147,000 miles each way. 93.5% of the days that at least one seat was available at Level 5—175,000 miles each way. If you want to fly JFK-LHR in on an AAdvantage business class award, it won’t be at the saver level. 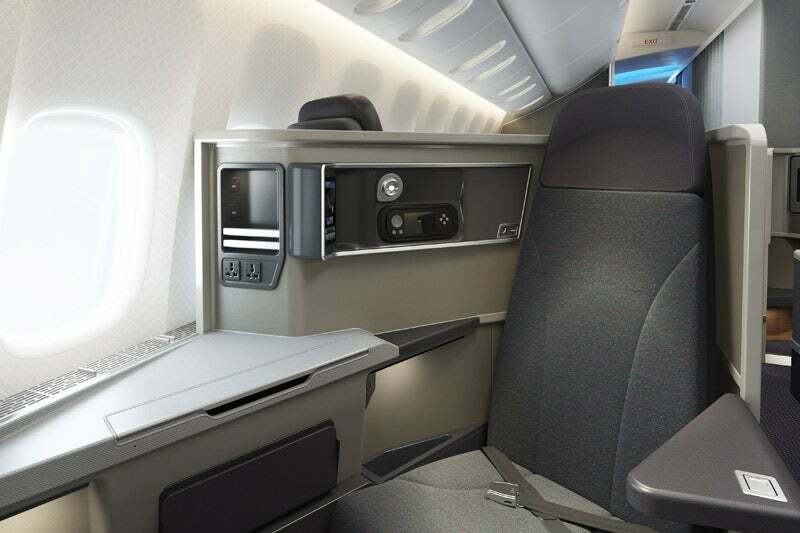 American is now operating its new Boeing 777-300ER aircraft on three daily flights between New York (JFK) and London (LHR), and yet I found zero award seats in business or first class at the saver level. Since each aircraft has eight first class seats and 52 business class seats, this is a total inventory of over 15,000 first class seats and 100,000 business class seats, and not a single one available at the saver level! Compared to its JFK-LHR service, American is offering very generous award availability at the saver level in business class on its daily flight between Raleigh-Durham, North Carolina and London, so long as you can be very flexible with your dates. How flexible do you have to be? You just have to leave on April 7, 2015 and return on either April 13, 22, or 28. Those are four dates with availability out of 660 flights each way, or a total of 0.6% of the flights. In addition to being very flexible, you also have to travel alone, because only one saver award seat is available in business class on each of those dates. So that’s four seats out of over 18,000 total business class seats in the next 330 days, or 0.02% of the total inventory. United can get you to Melbourne, but apparently not at the saver level. United now offers daily service between Los Angeles and Melbourne, Australia on its new 787-9 Dreamliners. Yet for the most part, finding an award seat in business class on this flight is also a dream. This version of the Dreamliner has 48 business class seats, for a total of over 30,000 seats on flights between those two cities over the next 330 days. 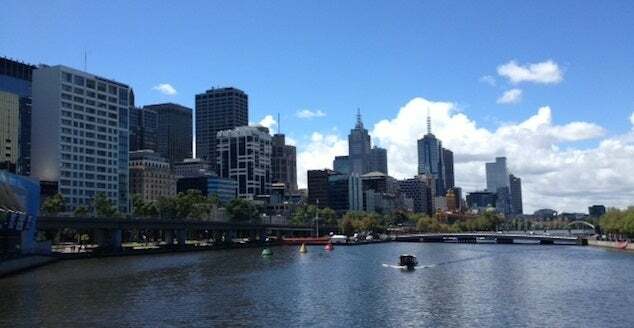 There were zero seats available on all flights from Los Angeles to Melbourne, yet I was stunned to find three days where it appears that you could book saver award seats in business class from Melbourne to Los Angeles: January 25, 26, and February 4. Frankly, I think this is a glitch, since there appears to be four seats available on January 25, and an astonishing seven seats available on both January 26 and February 4. I’m going to go out on a limb and say that this is probably a case of United showing phantom award space, so please don’t transfer your Ultimate Rewards points to MileagePlus miles for this award unless you think you can successfully fight United when you’re unable to book it. 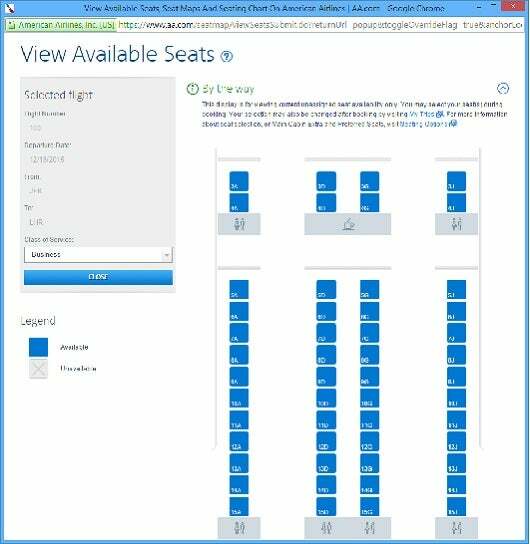 United appears to make 7 award seats available here, but I’m skeptical. Even if those award seats are truly available for booking, then United is making business class awards available at the saver level on 0.5% of its flights, representing 0.06% of its available business class seats. It seems pretty indefensible that airlines have award charts that appear to offer flights at the saver level when those seats don’t actually exist. Yet there are a few possible explanations that can mitigate their behavior, if only slightly. First, it’s conceivable that some of these impossible award seats on the flights I looked at were offered at the lowest mileage level at one time, but were already booked. However, the fact that there are currently no seats (or extremely few) available when I performed the search, out of tens of thousands in inventory, is pretty strong evidence that the airlines have chosen not to offer any award inventory at the lowest mileage level, despite the implied promise of their award charts. 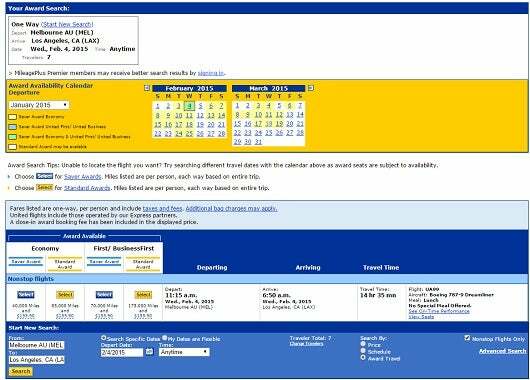 In many cases, it’s even possible to view the available seats when making a booking far in advance and see that not a single seat is assigned. That’s another very strong indication that the airline is offering no award seats, although there’s a very small chance that someone booked a ticket but declined to select a seat. However, in the case of American’s unassigned eight first class seats, ExpertFlyer (one of my 10 Online Tools Every Award Traveler Should Bookmark) shows us that there are at least seven seats are available for sale. 52 seats are unassigned, but no award seats are available at the saver level. Another possible defense is that partner awards may be available when there are no seats on an airline’s own inventory at the saver level. This certainly makes a difference in the case of the Delta flight to Sydney (where its partner Virgin Australia offers similar non-stop service). 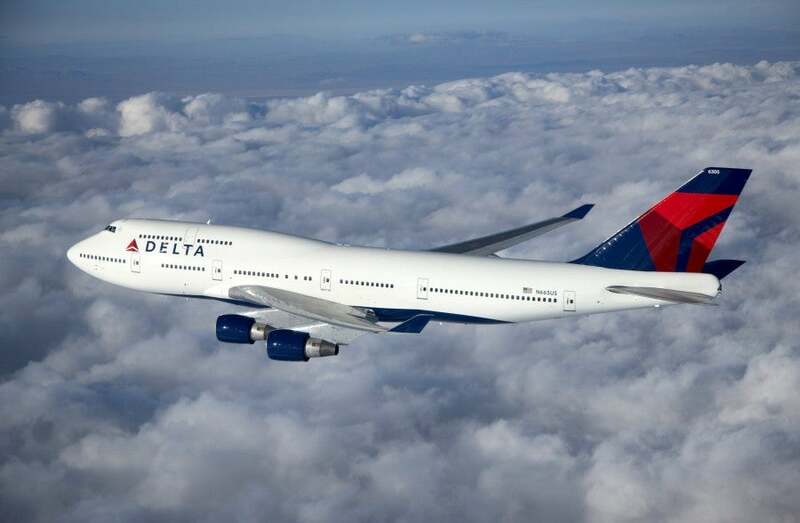 Yet, when we look at Delta’s flight to Johannesburg, South Africa, the only other possible partner award flights are though Europe, which can add thousands of miles to the journey each way, and double the travel time. 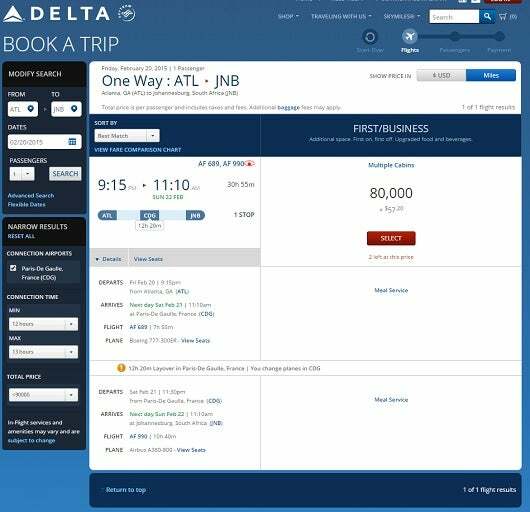 While there are a few days when you can book Delta partner awards between Atlanta and South Africa, the journey is twice as long as Delta’s non-stop flight, which doesn’t appear to exist at the saver level. In addition, American offers flights on British Airways when it does not offer award space to Europe, and as we all know, those awards come with hundreds of dollars in fuel surcharges. In the case of the United flight to Melbourne, there are very few options for partner awards, and United charges more miles for them anyway. Have you caught an airline offering flights with no award seats at the saver level? Please share the airline and route in the comments below.